Personal trainers often discover that they actually have two jobs: personal training, and marketing their personal training business. While the marketing part of their business may not come as naturally as keeping clients healthy, it’s a more effective way to attract clients than to rely on word of mouth. Digital marketing has the tools to target, reach, and gain new clients. We tell personal trainers that the amount of time they spend working on their digital marketing will pay dividends. · Promote Your Business with a User-Friendly Website. A well-designed website that is easy to navigate on both a regular computer screen and a smart phone should have information like the trainer’s welcome, their philosophy, blog articles, images, videos with example exercises, and a scheduling system. If you are using an SEO program, potential clients will be much more likely to find you online when they’re looking for a trainer. · Engage in Social Media. Social media is an effective way to create a buzz around your personal training brand. Think about your clientele: Are they younger—mid-20s? Moms in their 30s? Active seniors in their 60s? Each group prefers a certain kind of social media platform. For instance, Twitter is very active with Millennials. Facebook is used by Gen X and Baby Boomers. Once you know what kind of social media to use (and you can of course use more than just one), it’s time to create your content. · Produce Compelling Content. Your clients aren’t always going to be with you when they’re working out or deciding what to eat for a healthy lunch. Blog articles you can post on your website and videos you can share on social media are going to be what they want to see and hear about. Once you’ve created content, you can start sharing it through social media. Great examples include talking to other business owners and letting them know that you’ve shared an article about exercise on LinkedIn, or running a contest on Facebook with a post that talks about your personal training services. · Make Yourself Accessible. Make it easy for clients to connect with you when you’re not around by creating your own app. This kind of digital marketing for personal trainers will ensure that you can communicate with clients, review the work that they’ve done either with or without you, send them videos to watch, create lists for them to follow (such as a workout plan or a grocery list), and encourage them through push alerts and reminders. Having your app at their fingertips will give them a schedule or assignment while they have the freedom to approach their workouts on their own, even if you’re not around. 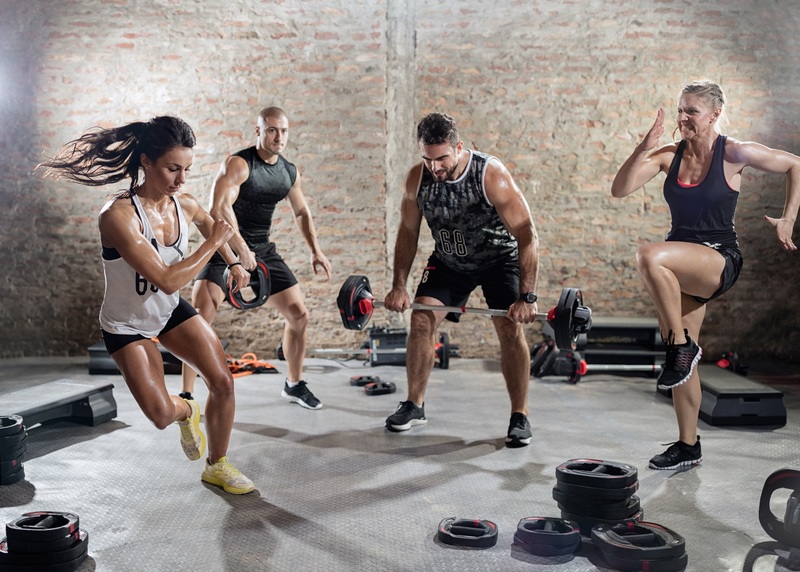 Fitness Marketing Solutions can help you design a digital marketing program that will increase your business, attract clients, and solidify your fitness brand. We’ve created programs for personal trainers that use websites, apps, social media, PR, SEO, and advertising in both traditional and digital formats. You’re busy – let us help you with your personal training marketing so that you can work as much as you want while attaining the goals you’ve set for your business.